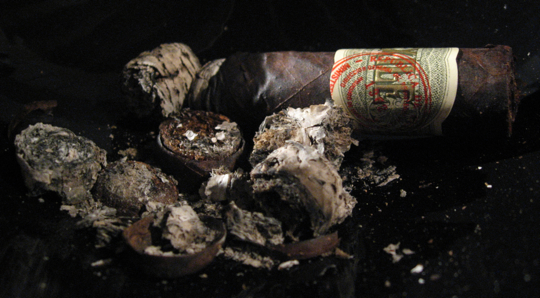 The Exile cigar line is made by Cuban Imports, Inc who’s president is Michael Argenti. He has also released a new line recently with his namesake attached to it recently called Berger and Argenti. 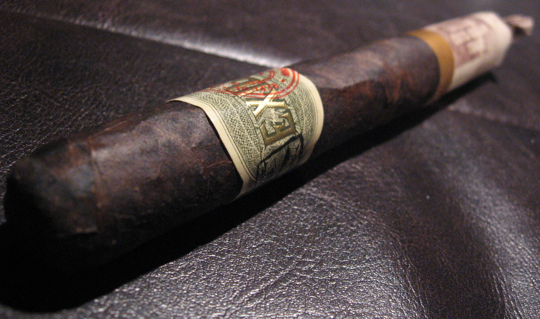 The Exile line is a big throwback to the days of pre-embargo cigars. 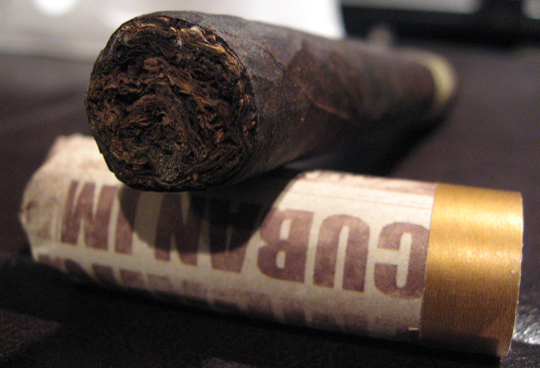 The cigars themselves look very similar to what an old Cuban cigar would appear to be with a very bumpy wrapper and a hand-made feel to them. The cigars are also wrapper in pieces of newspaper that are duplicates of the New York Daily Mirror newspaper from the day of the Embargo, February 4, 1962. The cigars themselves don’t seem to be too widely available as I write this with only a handful of online shops that seem to have them. I have found them in 3 sizes, Perfection No, 1 (Robusto), Churchill, and Perfection No. 2 (a slightly longer Churchill). They are also available with an Ecuadorian Sumatra and a Connecticut Broadleaf wrapper. 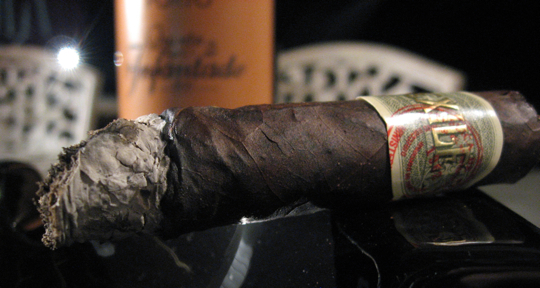 Usually those are two of my favorite wrappers, but a wrapper is only a small portion of what makes a good cigar. Let’s see how this one stood up in the review. Cigar: Exile by Cuban Imports Inc.
There’s not much I can say here, the notes pretty much speak for themselves. 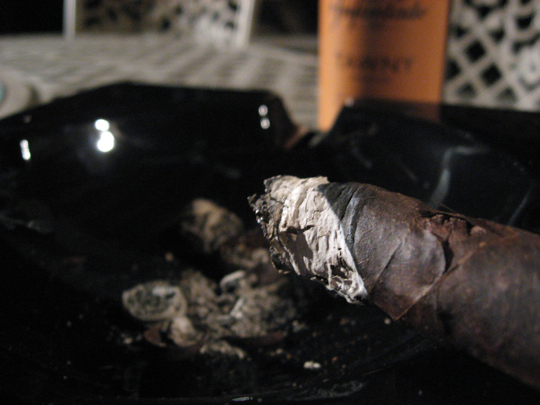 I spent most of my time fighting this cigar to stay lit, burn properly, and produce at least a decent amount of smoke on the draw. This was my third Exile of the same wrapper and vitola and all three have given me similar problems. 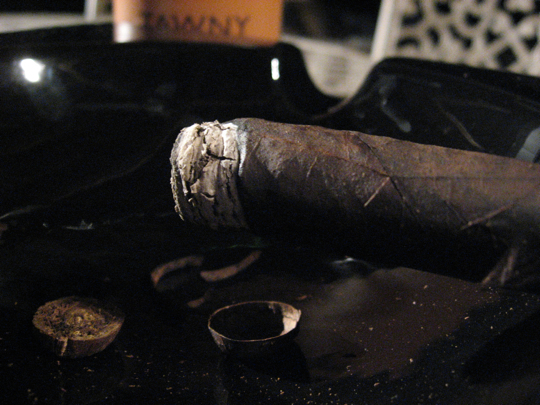 As mentioned, the cigar never really got too harsh despite all the re-lights and touch ups but the flavors also never had a good chance to develop. Based on the three I’ve smoked I will be avoiding these in the future. If you’ve had a different experience with this cigar or perhaps a different vitola or wrapper please let me know, I’m curious to see if this is the general consensus or I just had a string of bad luck? Maybe if I’m wrong I’ll give them another try. 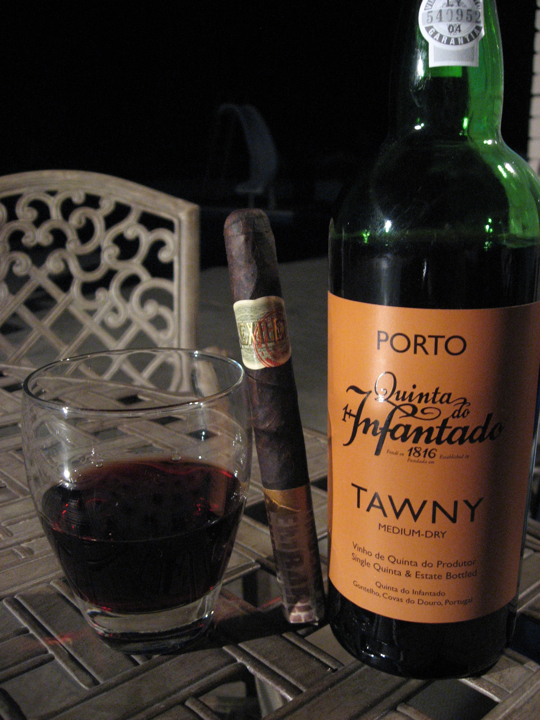 It’s been awhile since I’ve had a nice tawny port pairing in my reviews so I’m glad it’s back! The bottle I had today was bottled in 2004 by Quinta de Infantado. It has a fairly light red color to it and produces some nice oaky flavors complemented by dark berries, such as black berries and black cherries. It’s not too strong and comes in at an excellent value for the price. It’s definitely a good port to start with if you’re just considering trying it out for the first time or to have on hand to serve without feeling a wallet pinch. I didn’t enjoy this cigar but I did enjoy the port and I won’t bother recommending other pairings since I don’t really recommend this cigar. I’m curious to see if anyone has a very different opinion on these though? Wow! 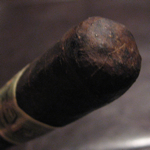 Great review, it’s really important to recognize a good cigar from one that doesn’t exactly hold up. I find this intresting, and at the same time comforting to know you guys are honest and pretty reliable on your reviews. Thanks for the heads up on this one. Haha, same thing with my Rocky Patel 1961 review. Thanks for the review. I haven’t had one in quite a long time, but I don’t recall being very impressed with this cigar. I was gifted one of these by my girlfriend, which I confess may have affected my experience a bit. 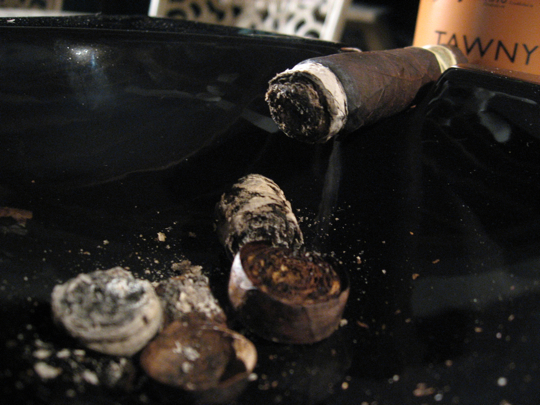 But I had a completely different opinion – great flavor, smooth burn, tight ash, and no bitterness at all, really. 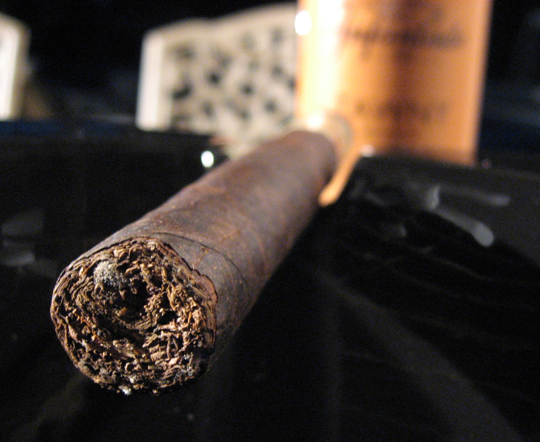 I do note that she got me one of the older versions – where the entire cigar was wrapped in that paper. It’s possible that the aging and/or the different batch made a difference. I have just bought one of the “newer” ones, like you have here (with only the end wrapped) and I’ll try that and let you know. It might be you just got a bad batch; or I might have just gotten one of the few good ones. Either way, thanks for the review.